Ok I went to release my parking brake and this snapped as shown in photos, not to sure why as the car only is 79800 miles? 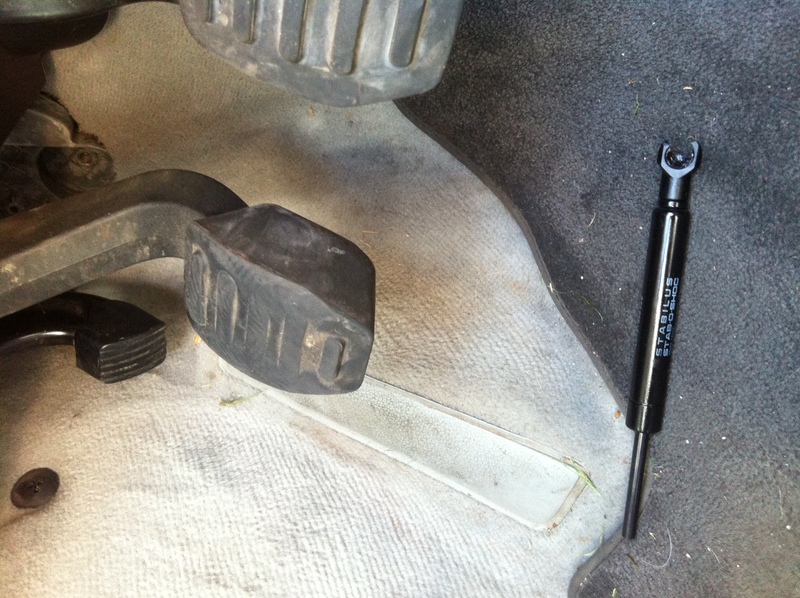 Will my car parking brake still hold? is the car ok to drive? And how much approx would my Porsche specialist cost with labour and replacement? Ive not seen that before .. normally they just go weak and get replaced for that reason . From memory i think ive changed them in situe but this is a little different than just changeing it due to whats happened. Lets put it this way .. you can remove the whole handbrake but its not a pleasent job .. i struggled a couple of weeks ago and i had the dashboard out ! If they have to remove the handbrake to get the old bits off then 2 hrs i would guess at . 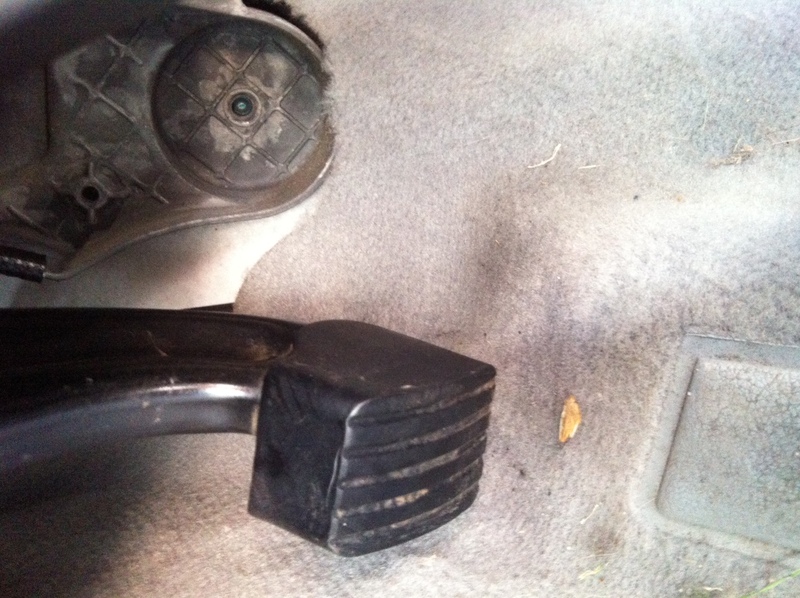 That shock is there to raise the pedal when you release it .. from the image it seems the handbrake is already on .. you will need to use your foot under it to raise the pedal as it is now . Its a ball joint both ends and just pushes on. thanks demort for the advice, I have taken it out for a short drive but the parking brake light kept beeping as the brake pedal would not sit all the way back. So i figured when driving i would put some tension on with a bit of string and tie it to the handgrips at arm rest. this seems to work. my question is if the error comes on when driving for example string loosens, can this harm the parking brake i assume this is a sensor being activiated just and handbrake isnt active at this point when pedal is nearly up. If you have a look at it .. not easy as its a bit high up you will see a simple switch , light staying on is a pretty common fault on these so we fit a rubber boot over the switch to make it longer in effect .. not your problem but you get the idea that the pedal not going fully to the top isnt a problem. In your case then i would probably unplug the switch and use your foot or hand to pull up the handbrake pedal untill you can get it fixed . thanks mort, do you think it's possible a new switch would be needed as well? I really do hope my specialist does not put his arm in, only just away from him with speed sensor and bearing replaced which cost a bit. You shouldn,t need a new switch . Major service is not too bad but ..
Air filters and plugs are due at 4 years along with a Bfc .. its the extras that really push the cost up .